German-based vintage world music specialists, Analog Africa, are set to release Vol 3 of their archives of Beninese afro-funkers Orchestre Poly-Rythmo de Cotonou. The album, entitled "The Skeletal Essences of Afro-Funk 1969-1980" will be out on the 29th April 2013 and comes complete with a 44-page booklet in the following formats: CD, Double Vinyl Gatefold LP and DL: Catalogue numbers: AACD 073 (CD) / AALP 073 (2xLP). Distributed in the UK by Proper (vinyl also distributed by F-Minor). Take funk, soul, psychedelia and rumba, mix it up with a thick dose of heavy local rhythms and throw everything in a Benin grinder. The brew is then mixed up with hypnotic Farfisa solos, gritty guitar riffs, distorted bass lines, warm horns and the result, of exorcizing proportion, will lead to frenetic body movements. Some people bang their heads, others jerk their feet or feel the urgent need to get up and start shaking their hips. 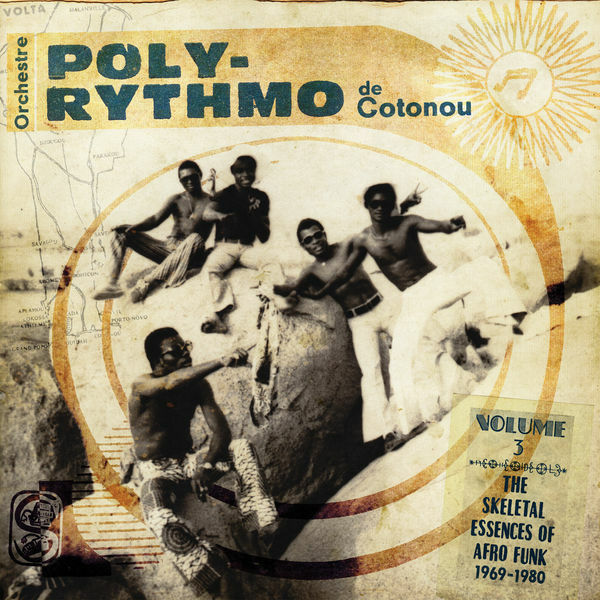 One thing is common, though, to everyone who submits their ears to a spinning record by the mighty Orchestre Poly-Rythmo de Cotonou: you simply can not stand still. Following two previous Poly-Rythmo collections released by multiple award-winning label Analog Africa - "The Vodoun Effect" (2008) and "Echos Hypnotiques" (2009) – this third compilation, "The Skeletal Essences of Afro Funk", is another proof that this legendary ensemble from Benin is one of the funkiest bands in the world. It's no surprise that they have been deemed the "D.N.A. of voodoo groove." Starting in 2005, Samy Ben Redjeb, Analog Africa's founder and compiler, made several trips to Benin, where he dug up most of the orchestra's output recorded between 1969 and 1983: hundreds of vinyl records and a few master tapes, no less than 500 songs. With such a wealth of material of astonishing richness, choosing the songs proved to be a tough task. Therefore, it seems only natural that it has taken a few years for this third volume to come out of Analog Africa's sonic treasure trove. The 14 tracks presented here have never been issued outside of Africa and most of them follow the spirit and sound of the first volume, 'The Vodoun Effect,' which was a selection of songs released by small and obscure labels from this tiny country, once known as Dahomey. Some of the songs presented here were recorded using a legendary piece of equipment, a Swiss made Nagra reel-to-reel recorder and one or two microphones, in private houses or open air gardens, mostly at night. And still, it would be somewhat difficult for contemporary musicians and engineers to achieve the stunning quality of raw sound and the atmosphere obtained in these recordings, even if they used one of today's most modern and expensive studios available. One thing that immediately catches the attention listening to this compilation is the band's steamroller-like grooves employed by Gustave Bentho, the mythical bass master, and Leopold Yehouessi, the fantastic drummer of the band – for many, Africa's funkiest rhythm section. The power lying in these tunes is phenomenal and shows true craftsmanship on both the composition and the production side, "Houton Kan Do Gome", composed by Bentho, would have made James Brown proud. "Ecoutes ma Melodie" is destined to become a classical late night tune for the many amazing tropical and Afro parties taking place around the globe. "Pourquoi Pas?" and "A O O Ida" would be the kind of sound The Meters would have created were they born in Benin. On 17 December 2012, Melome Clement, the man who formed the all-powerful orchestra, passed away victim of a heart attack. The "boss" as the other band members would tenderly call him, will be missed, but not forgotten. The soul of the music he created has permanently engraved itself in the soil of Benin. Analog Africa was set up by Samy Ben Redjeb to release African music from the 70s, music with a certain twist that will surprise you or that you didn't expect to hear from Africa, and that often had a strong impact on its country of origin. Frequently these recordings - all fully licensed – were never released outside of Africa before. Considerable importance is also placed on detailed liner notes telling unusual stories about unusual musicians, complete with rare photographs, interviews and full discographies. In addition to releasing African compilations, Analog Africa has also ventured into 70s tropical music with a release by Colombia's Anibal Velasquez and the compilation 'Diablos del Ritmo - The Colombian Melting Pot 1960-1985', and the label has also launched a series called "Analog Africa - Limited Dance Edition", the objective of which is to release African and tropical records in strictly limited editions which concentrate on single artists's releases. The first release in the series was the first ever LP of Orchestre Poly-Rythmo, one of the best Beninese Afrobeat recordings from 1973. 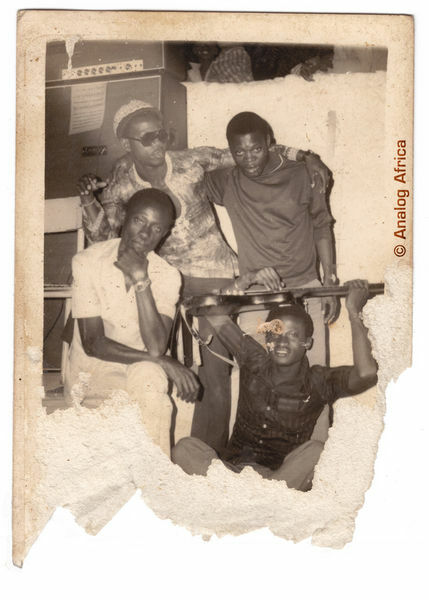 In fact Analog Africa has played a pivotal role in resurrecting the force that is Orchestre Poly-Rythmo de Cotonou, as well as having successfully organised the first ever European tours for Anibal Velasquez and Ghana's Ebo Taylor. Since its foundation in 2006, Analog Africa has won over music fans and critics alike. Record Collector calls Analog Africa "an increasingly essential label .... which ventures where others fear to tread," whilst The Arts Desk website remarks: "In this age when music fans are turning to the inferior sound-quality medium of downloads, it's immensely reassuring when a record company puts so much effort into making their product as desirable to the consumer as possible."